Tensions have continued to rise between the US and Turkey. At the center of the dispute is a US pastor who was arrested as part of retaliation for a failed coup in Turkey in 2016. Andrew Brunson is being held under house arrest and charged with espionage, but the US denies all charges. To get Brunson back, Trump has used tariffs as more than just economic retaliation for another country’s tariffs, but is now using them for diplomatic pressure as well. Turkey’s court of appeals refused to release Brunson this week. In an update to a story we brought you a few days ago, there are now over 200 papers in the US set to write anti-Trump editorials to supposedly prove that they are unbiased and don’t deserve to ever be called out for fake news. Media outlets led by CNN’s cry baby Jim Acosta and the Boston Globe have feared that the “fake news” label on news that isn’t true is going to cause violence against the media. Meanwhile, as we reported on our Facebook page yesterday, CNN’s Chris Cuomo made a feeble attempt to ask Antifa to cool it when it comes to actually physically assaulting members of the media. Cuomo’s rambling charge against Antifa seemed to suggest that they were ok to be violent as long as it was against bigots, but that they really ought to leave the press and the cops alone. He ignored their attacks on non-white supremacist Trump supporters who happened to be in the area and were assaulted. Twitter has joined the ranks of social media platforms in banning Alex Jones, but only for a short period of time after he violated one of their rules with a video he linked to. Twitter had stated that they would not ban him unless he violated one of their rules. The current restriction is temporary. Jones has gotten a lot of mileage out of the bans on other social media platforms. Alex Jones’ site, Infowars, tends to be a cesspool of conspiracy theory and Jones’ lawyer admitted in a recent court battle that he is “playing a character” in his role as a media personality. 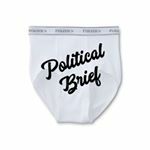 At Political Brief, we don’t follow Alex Jones. We support his right to free speech and expression, but we also support the right of private businesses to make the economic decision to discriminate when it comes to hosting private individuals. Consumers will need to decide for themselves if blocking Alex Jones is enough to get them to leave those social media platforms. It also is a good caution to consumers to remember that political commentators have an agenda. Be sure to double check sources and treat any political story with skepticism, whether it’s Alex Jones or Jim Acosta. Also, know that Twitter, Facebook, Youtube, and other platforms are privately run and push content to you. The best way to navigate politics online is to do your research and find people you trust.